At least I'm staying at home and not getting myself with office works. 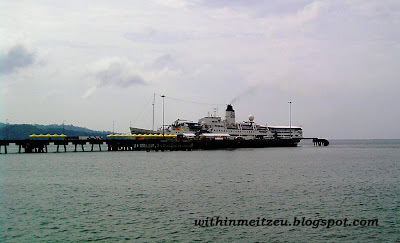 Besides, Doulos Ship -- International Floating Bookshop had departed at our Sabah port to welcome public for visiting the Ship and the Book Fair. I saw many people walking to the Ship from far. p/s: The weather was too hot, kind of burning my skin.